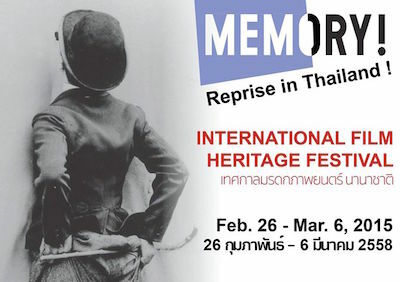 The International Heritage Film Festival will take place in Bangkok later this month, from 26th February to 6th March. The Festival's theme is Memory!, and it will include screenings of several classic comedy films. All screenings are free. The opening film, the Georges Melies masterpiece A Trip To The Moon, will be shown on 26th February at Alliance Francaise. (It was previously screened at the 5th World Film Festival of Bangkok, and the restored version was shown at La Fete 2012.) 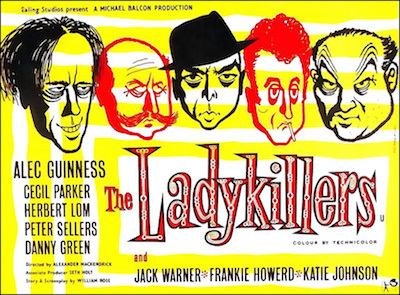 Later screenings include Alexander Mackendrick's Ealing comedy The Ladykillers (27th February, also at Alliance Francaise) and Buster Keaton's The General (1st March, at the Thai Film Archive in Salaya).